In a scholar’s life, a research paper is one integral part, from which he or she can never back off. Students, just like you, have to deal with critical project titles, all along the academic careers, and often, attain poor grades due to lack of guidance. 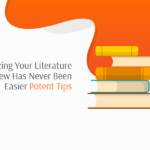 Well, this blog will cook your experience far better, with all-embracing advice, on a research paper outline. Read till the end for a complete overview. 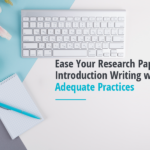 This subsection will open with a research paper outline example, following that you will be introduced to the approach of writing each passage. Check the inherent components that form the framework of your paper. 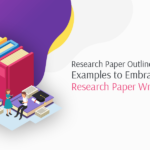 The above-stated outline is a general research paper example, widely used by students across the globe. Though the style differs slightly if you are drawing the research paper outline in MLA format. Note: The concept of separate Title Page, and Abstract does not exist in MLA outlines, rather, the paper starts directly with the Introduction passage with Project Title, penned on the top-center of that page. 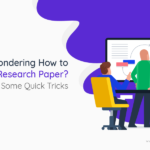 Now that you are well aware of the fundamental elements, here’s how to write a research paper. Each passage holds some vitality of its own and preserving the style is a writer’s accountability. For winning grades, take a look at the much-appreciated approach. 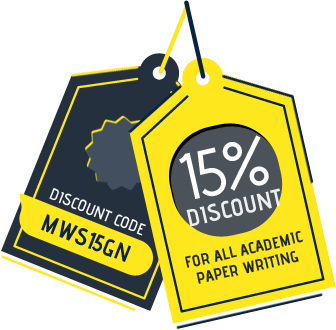 Considered as the cover of your manuscript, this section is responsible for offering a brief summary to your paper. Keep your research paper abstract as short and concise as possible with precise facts and simple sentences. Readers do not appreciate overstatements in any stage of your document. 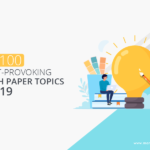 What are the ideal contents for an abstract? 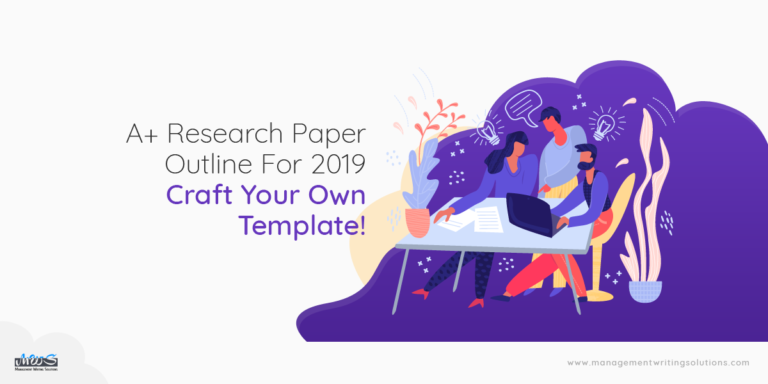 Typically, a paper starts from this section and it holds an additional responsibility of encouraging audiences to read the complete document. 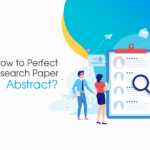 A research paper introduction is always written in an inverted triangular approach i.e. you will start with a broader overview with slowly moving onto the original idea. 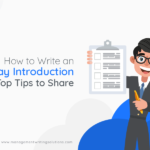 The following points will tell you more about its writing style. 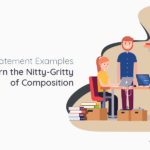 A subtle style of writing demands a transition statement before delving into the main discussion, known to be the body of a research paper. Every good example of an introduction in a research paper shows such transitions. The body starts with elaborating that you have hinted in the introduction. Highlight the research methodologies and techniques, used for your investigation and also, put light on the used software and tools. 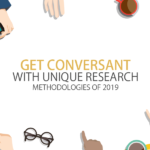 Elaborate the methodology so that your audience apprehends the fundamental idea behind this practice. Notify only that you have exercised, truly. Just after discussing the techniques, smoothly, move to data insertion, in case of scientific papers. If your research paper topic is argumentative or persuasive or descriptive, bring in the arguments and opinions, following the order. After each argument, insert authentic evidence and counter-arguments in response. Make separate paragraphs for each point. This is the last leg of the body part, where you have to stipulate the final results and outcomes. Ascertain, your audience gets convinced by the end of this section. Do not overwhelm with your opinions, rather stick to the point and retort with evidence. Many writers lose track in this section, so be a little more cautious and a suitable outline will aid the rest. Start with reinstating the research proposal. Though the baseline will be the same as that of introduction, it will differ in wordiness and composition. A small synopsis of your paper is highly appreciated in conclusion. Say what you have already said in the body section but, neither hyperbole nor repeat. Crediting the sources is one important chore that should be taken well-care by the scholars. Normally, university guidelines mention the referencing style, to be followed, like APA, MLA, Harvard, etc. and you must stick to that. In APA format, this section is written as “References”, whereas, in MLA it is termed as “Works Cited.” Attain every minor detail of referencing to obtain highest grades. Now, your paper has finally come to end. Here, you need to express thanks and show gratitude towards your university, fellow researchers, and most importantly your research guide. Acknowledgment section is like an ending note for signing off with respect towards the persons, who have helped you in accomplishing the research, successfully. 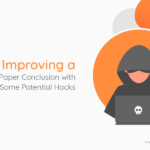 Some students, in spite of comprehending the writing style, fails to pull off the paper due to lack of time management skills or strict deadlines. If you’re in an identical state of mind, seek assistance from an online custom writing service. In comparison to the competitors, certainly, Management Writing Solutions is the foremost choice for its proficiency and experiences in this field.